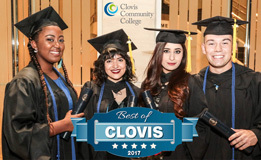 Clovis Community College offers multiple programs to help you succeed in college. CalWorks is a student support program that provides current public assistance recipients with vocational and educational training. CalWORKS works collaboratively with Fresno County Department of Social Services to help transition students to self-sufficiency. These students are provided with: Book Vouchers, First Tier Priority Registration, School Supplies, Work Study Opportunities, Specialized Counseling and Transfer Assistance. Extended Opportunity Programs & Services (EOPS) is a state-funded support program for students. The program provides assistance to students that is "over, about and in addition to" series received by a traditional student. Examples of typical services include: First Tier Priority Registration, Specialized Counseling, Book Vouchers, Cash Grants and Transfer Assistance. Students who have financial and educational needs are eligible for EOPS. CAFYES is a support program for current or former foster youth who were in care at the age of 16 years old or later. Students must qualify for EOPS to enroll in program and take a minimum of 9 units. Cooperative Agencies Resources for Education is a program within EOPS that is for single head of household students who are receiving cash aid. 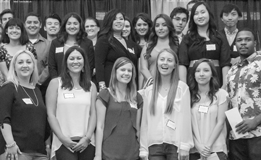 These students receive all the EOPS services in addition to more specialized support. 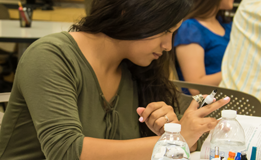 Students Support Services (SSS) and STEM are free Federal TRiO programs that serve students who are first generation, low-income, or have a disability. The programs provide academic support and guidance to help students meet the challenges of obtaining a degree and/or transferring to a four year university. 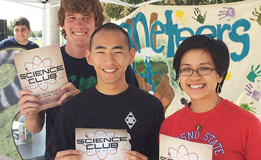 Other services include free field trips, priority registration, and scholarships.